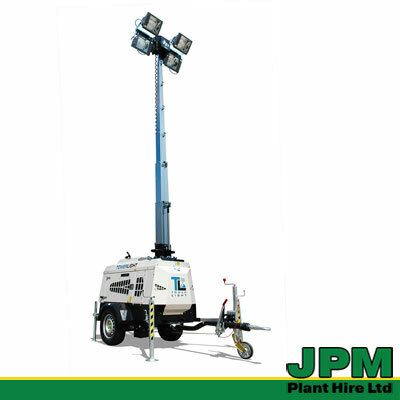 The VT1 Lighting Tower by Generac Mobile Products was the first mobile lighting tower in the world with an integrated vertical telescopic mast. Its four powerful 1000W metal halide floodlights ensure high illumination in every working area. It has a hydraulic lifting system and power generator inside. 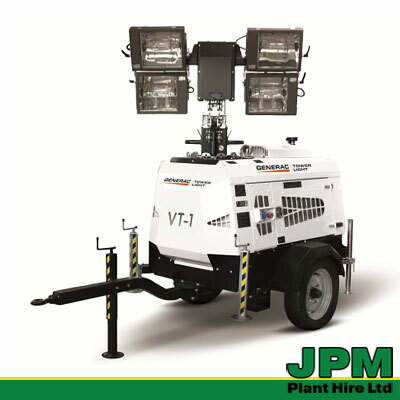 As the VT1 lighting tower has a very compact design, you can load up to 10 units on a single vehicle. Trailer: Road trailer with straight tow bar, brake, lights and homologation. We will gladly offer professional advice on choosing lighting towers or any other equipment for your requirements, confirm the hire cost for the hire period, our terms and conditions and what is is included in our hire arrangements.